Trace: Alright! Maybe it wasn’t the most well thought out plan. I guess I just don’t feel comfortable waiting around in this place. Feels like we’re being watched. Flora: Don’t look now, but you might be right. Adira: Maeve, what are you doing up there? Take them the drinks. Maeve: Mommy! There’s a tiger! Adira: I know there is, dear. Just give it to them. 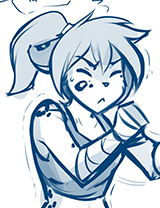 Adira: Ah… sorry about all that. My server’s decided she wants to be shy today. Adira: This is my daughter, Maeve. She’s not normally like this, but we don’t serve many non-humans. Flora: She’s afraid of her own kind? Adira: Oh, not at all. She’s just grown up surrounded by humans, so it’s what she’s familiar with. 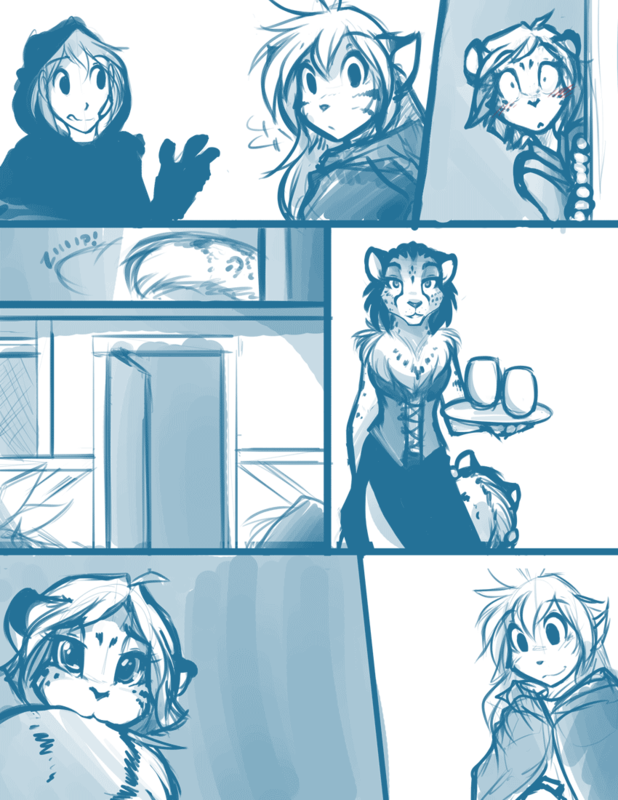 Adira: She’s actually a fan of tigers, which might be part of the problem. Flora: Aw! Well, nice to meet you, Maeve.